Fri, Sat & Sun nights. At the Gordon Walker Chalet, Stair, Newlands near Keswick. This chalet is at Stair GR237212 NW sheet. 3 miles south of Keswick. start within 30 minutes walk of the chalet,also Derwent Water is in easy reach on foot. No pets allowed in the building. Please pay me by 10th August, as I have to pay for the chalet in advance which could be £384 if full. The start point is at approx. GR number NY 0850 1536 at the carpark at the end of Ennerdale. Turn right where there is a forestry sign for Broadmoor after the turning from Ennerdale Bridge. 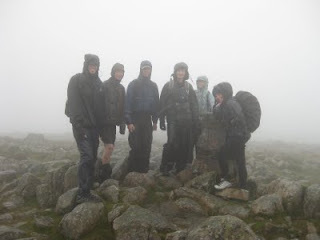 The idea behind this is to provide a challenging walk that will not be beyond the fitter members of the group. It will consist of the hills that form the Ennerdale skyline. Total distance has yet to be determined as there are a few route options ranging from 22 miles up to 29 miles. The current intention is to go for 23.5miles and 10,000 feet of ascent. Please note the idea behind this walk is to present the group with a challenge. Anyone present on the day should be prepared for this with appropriate clothing and equipment. You should have your own map and be prepared to use it. There will be options for people to drop out, however they must be prepared to navigate themselves back to the start point. Due to the challenging nature of this walk, on this occasion please contact the leader for start time and full details. Start Point at the foot of Newlands Pass NY 177 171. There is free parking by the roadside just as you begin to climb Newlands Pass or alternative pay and display parking can be found in Buttermere Village. This is a moderately strenuous walk with stunning views over Buttermere and Ennerdale. Provided that the weather is reasonable, Niall will make a second attempt at the Buttermere Horseshoe see description 25th July 09. Come and join us on a summer picnic, with views looking over Lake Windermere, on Queen Adelaide Hill near Bowness on Windermere. Bring your own food and drink or even disposable bbq. If it happens to be a warm summer evening you can cool off in the lake. Come and explore part of Scotland you probably haven't seen before but that's practically on your doorstep. We will start by climbing alongside the Grey Mare's Tail (one of the finest waterfalls in Scotland)on a good path, continuing along the burn to Loch Skeen (a gem hidden high up among the hills). We will then follow a narrow ridge to ascend Mid Craig (729m), head up to Lochcraig Head (800m) and back along the plateau to reach the summit of White Coomb (821m). On a good day this walk offers fine views of the Lakes, West Highlands and Edinburgh. We might see feral goats, peregrine falcons and the rare vendace fish in the loch. Meet: 10.30am at the National Trust car park (GR186145) at the bottom of the Grey Mare's Tail.